In this workshop we look at the cleverly constructed Dancing Day by John Rutter, a cycle of traditional Christmas carols arranged for Upper Voices and Harp. We welcome in the New Year by exploring these exquisitely constructed works by English Renaissance composers. An opportunity to immerse yourself in the wonderful choral music of French composer, Maurice Duruflé. His setting of the Requiem, which was completed in 1947, displays a clever use of Gregorian Chant, often hidden within the texture. Josef Gabriel Rheinberger, who was born in Liechtenstein but spent most of his life in Germany, showed exceptional musical talent at an early age. In this workshop we explore the rich and dense polyphony in a selection of his motets. Looking at the Third Group of these beautifully ethereal settings by Gustav Holst, we present another opportunity for Sopranos and Altos to sing with a professional harpist. We present another opportunity to explore the glorious cathedral repertoire for choir and organ, most of which was composed for the vast acoustics of our national cathedrals and college chapels. Juan Gutiérrez de Padilla was born in Málaga, Spain but moved to Puebla, Mexico, in 1620 to compose music in the New World. Although this mass is composed in a traditional double-choir format, it is unmistakably Hispanic in its use of syncopated dance rhythms. We will be joined by an array of sackbuts and cornetts. 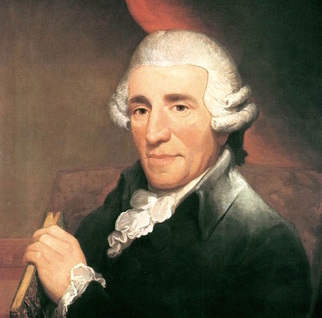 Haydn spent much of his career as a court musician for the wealthy Esterházy family at their remote estate. During this time he wrote the Missa Sancti Nicolai, a charming mass setting, full of beautiful melodies and climactic fugues. Due to very popular demand, we are delighted to offer you an opportunity to sing Thomas Tallis' 40-part work. Thought to have been written for the 40th Birthday of Queen Elizabeth, Tallis composed this motet with 40 genuine polyphonic voice lines. We last staged this workshop in 2012 - watch the film we made here. Handel's word painting is at its very best in his oratorio Israel in Egypt. A series of plagues falls on Egypt: the rivers turn to blood; flies and lice swarm everywhere; locusts appear and destroy all the crops; hailstorms blight the country; a palpable darkness descends; and, finally, the eldest born sons of all the Egyptians are struck down dead. Join us to explore Handel's exuberant, double-choir settings of these texts. Please join us to sing these most beautifully arranged spirituals from Tippett's A Child Of Our Time. The haunting melodies are enhanced by syncopated rhythms and rich harmonies.